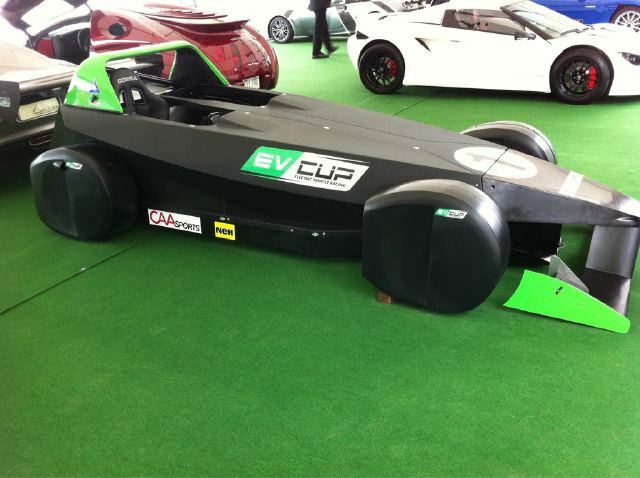 The EV Cup was a racing series that was to feature electric vehicles. The series was originally scheduled to start in 2011, then was postponed to 2012 because of a delay in developing the race cars. Unfortunately, the series was never able to make it off the ground. The series was to have races in both the United States and the United Kingdom. There were three racing classes planned: City EV, Sports EV and Prototype EV. 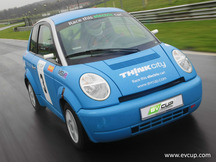 The City EV series was to feature the THINK City. It was going to be a slightly modified version of the car that is currently driving the streets of Europe. Top speed was estimated at around 75 MPH, and range of 100 miles. The Sports EV class will feature the Westfield iRACER. The iRACER is a purpose built race vehicle. It will go from 0 to 60 MPH in less than 5 seconds and have a top speed of over 115 MPH. The Prototype EV class will follow a time trial format. There will be no limits on weight or power. The series was originally scheduled to start in 2011, then it was postponed to 2012. The 2012 schedule never materialized and the series has been cancelled. No teams were ever officially announced.